If you have ever been fortunate enough to see a starling murmuration then I’m sure that you found it breathtaking and mesmerising. Thousands of the same species of bird swooping in unison, swirling through the evening sky in huge swarms, so in time with each other that it almost looks choreographed. I have seen this and it made me pause for thought, there are so many birds concentrated in one area, do they mate for life? I thought I would investigate a little. This answer is not as definitive as you might think, sometimes they don’t even stay monogomous until the first brood of babies are even hatched, a whole two month process! The birds can be polygamous, choosing to mate with a second female whilst the first is brooding over her eggs. It is widely thought that the second female will be on hand to help out while the original mate is more concerned with nesting. From the beginning of the year the male can be seen searching for somewhere ideal to build his nest and raise his young. 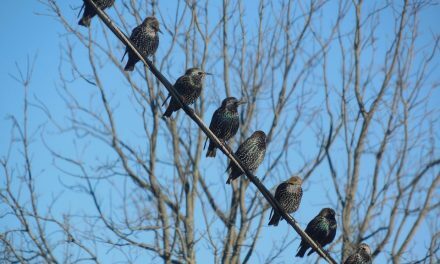 Starlings like to live in colonies and large communities, so open farm land with ploughed fields near to widespread woodland appeal to them. However, suburban and urban spaces are enticing too as buildings often have cavities in their construction, high up where they prefer to nest. 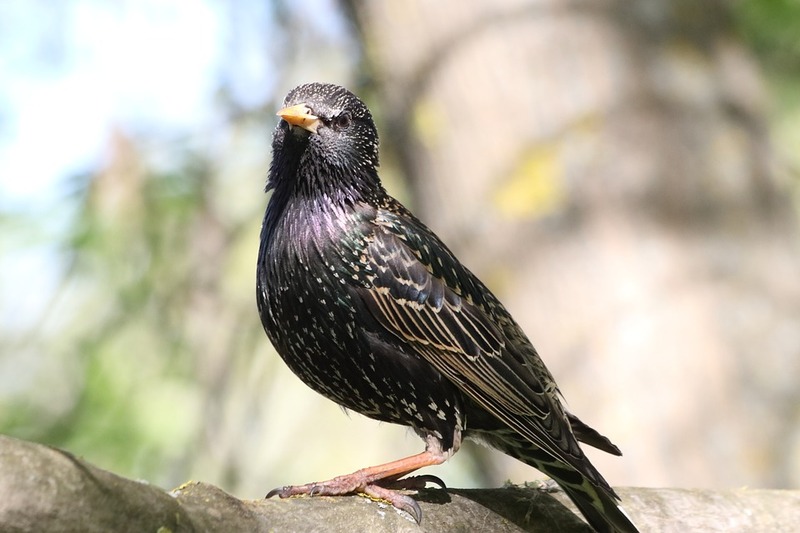 Starling nests are often found in loft space, they’re not harmful and if left alone, the nesting eggs will hatch, fledge and fly away within weeks. Gardens with nesting boxes high in the branches of the trees are perfect too. They love a large, widespread tree, with more close by, as these offer the perfect opportunity for several nests to be built by other members of the same colony. Once a suitable place has been found, maybe a deep hole in the tree that a woodpecker has left or high in the bough, as protected from predators as possible, the male starling will begin building. The starling gathers straw, long grasses and twigs and begins the job of building. He will work tirelessly for a couple of days, all the while singing and mimicking other birds calls as he works. Once the outer lining is built he will collect flower heads, greenery and scented herbs to place in it, all in the hope of attracting a mate. Once a female has noticed the bright colours and aromas of the nest she will turn her attention to the male. The purpley green metallic sheen of his plumage, that humans often mistake for glossy black, impresses her and so they copulate. Once this is over, the pair will now complete the nest building together, firstly, the ever practical female will remove the flowers and herbs that attracted her in the first place, and together they will replace them with feathers, wool, moss and soft leaves. The whole nest building process takes 4-5 days. In mid April, the female will begin to lay her eggs, one daily, until she has laid between four and six. If any of the eggs fail or break during this time, she will simply lay another to replace it. The eggs are light blue in colour and have a glossy sheen. The duties of hatching the eggs are shared but the female does the majority of the work, and always sits on them during the night. 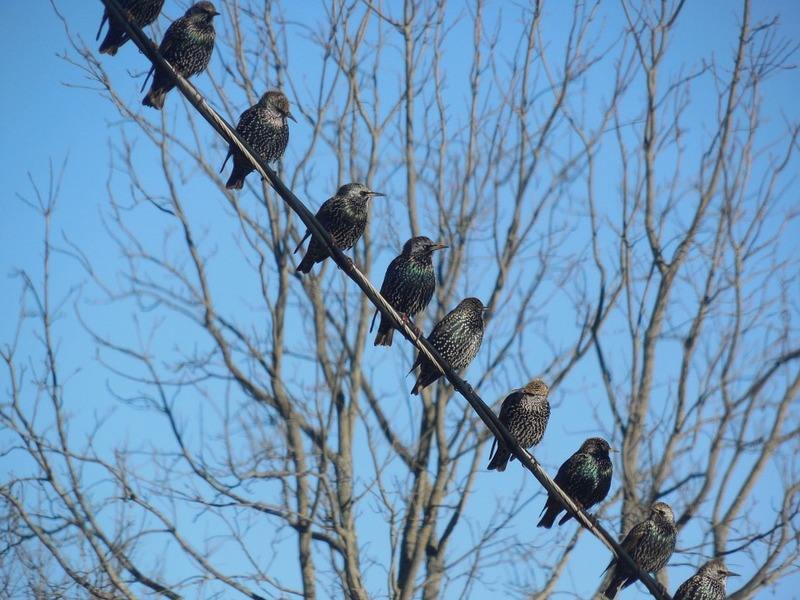 As all of the females in the colony lay within a few days of each other, I imagine it’s a fabulous sight seeing trees full of nests and seeing the starling swarms overheard, knowing that this is where the meetings take place and the information of the best eating areas is passed on. For thirteen or fourteen days the female tends the eggs dutifully, however, the male often has something else on his mind. The male may already be seeking a new mate from within their colony, not always but some have a roving eye. 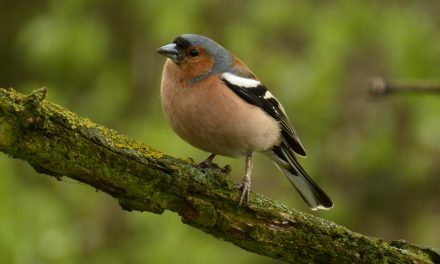 Ideally he is trying to get help for his mate while she is nesting but it’s also thought that he is maximising his chances of getting a strong brood. Unknown to him, the reproductive success is poorer the second time around and he would have better success remaining with his first mate. Also he runs the risk of conflict between the two females, very unsettling in one large community. Once hatched, both parents will care for and feed their young. Invertebrates are top of the menu, insects and their larvae, earthworms and spiders. After three weeks, the babies will become fledglings and will be almost ready to fly the nest, just a week or two more of help from the parent birds. If the brood is succesful and raised particularly early in the year, then the pair will consider a second mating. The same couple will repeat the process, repairing and relining the nest, in preparation for new beginnings. 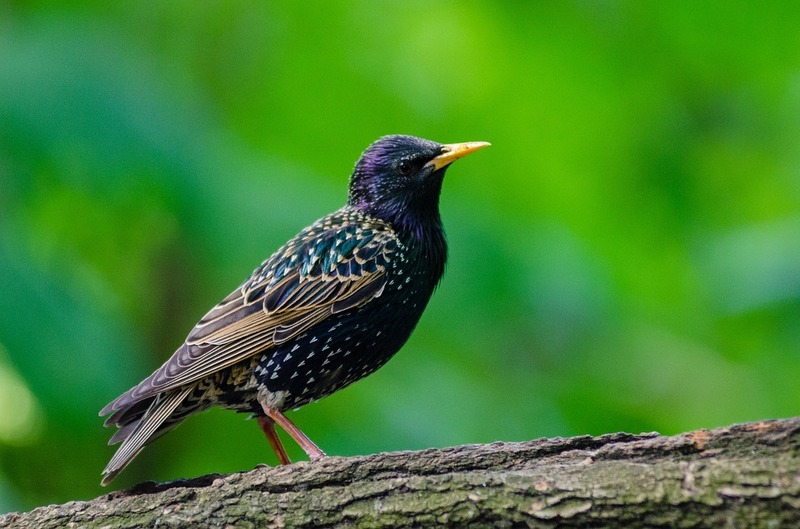 A starling colony will mostly return to the same breeding ground year upon year, they have even been known to reuse nests that have been left. The young that were born will have flown and joined a new colony. They very cleverly know that if they returned to where they were born, there is a minute chance that they could mate with a parent! So in January the male starling returns and begins his work, singing to attract a new female. Or two!